Spokane Oktoberfest (formerly at the River), an authentic German event in partnership with the German American Society of Spokane, returns to Spokane bigger and better than ever. The Spokane Valley's CenterPlace Regional Event Center will be site of 3rd annual Spokane Oktoberfest with a community celebration of all things Bavarian. Moving the location allows Oktoberfest to take advantage of inside and outside space, more food options, free parking plus two stages for an expanded entertainment package. October 27, 28 & 29 are the dates with festivities beginning Friday at four through midnight, Saturday noon to midnight and Sunday 11am-5pm with Spokesman Review half price family day. 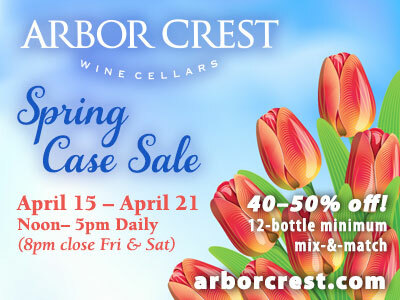 Adult admission is $10 or $15 for all weekend with in/out privileges. Children 12 or younger are free throughout the event. Each night at 8pm the event turns into adult only as the music and entertainment kick it up a notch. Tickets and more information available at www.SpokaneOktoberfest.com. The West Plains Chamber of Commerce will hold the Business to Business Expo at Northern Quest Resort & Casino on Thursday, October 19 from 3-7pm. At this networking event, you can connect with other Chamber members, acquire new leads, develop new business and connect with other business owners and operators in our community. For more information, to register or be a sponsor, visit business.westplainschamber.org/events/ or call 509-747-8480 or email at chamber@westplainschamber.org. Spokane's original natural grocer, Huckleberry's Natural Market, has expanded their Bistro, making scratch-made, natural and organic food that is now faster and easier to purchase. They have added a salad bar, hot foods bar, grab and go case and new cheese case. They will continue with live music on Saturdays and have just added eight beers on tap that start at only $5 per glass. Huckleberry's Natural Market is located on 926 S. Monroe Street. For the third straight year, the Inland Empire Toyota Dealers Association has chosen to take a stand against breast cancer. Toyota will partner once again with Beyond Pink, a charity that is educating our community and saving lives. Beyond Pink raises funds for thermography and offers grants to women in the Spokane region who want insight into their breast health and offers information and resources to women for breast disease screening and help on improving their overall health, potentially preventing breast cancer from ever happening. Since 2014, Toyota has donated a vehicle to the local nonprofit to help with their fundraising efforts, collectively raising $57,500 to date. All proceeds have gone towards life-saving thermography grants, which are directly benefiting and empowering people in our community. This year, Toyota is giving away a 2017 Toyota Corolla. The Toyota Corolla will be raffled off to one lucky winner on Thursday, October 5 at Yards Bruncheon in Kendall Yards. Raffle tickets are $50 and a maximum of only 1000 tickets will be sold. You can purchase your tickets on October 5 between 5-6pm and the drawing will be held at 7pm. Consider purchasing your tickets in advance. Find the Beyond Pink team by following their event page on Facebook: Beyond Pink 2017 Toyota Corolla Raffle. The Northwest Museum of Arts and Culture in Browne's Addition has extended the Z Nation - Behind the Camera exhibit, and will now run through Sunday, September 24. Spokane Eye Clinic recently hired Dr. Brandon J. McFadden to their team. Dr. McFadden is an Optometrist and will be seeing patients at their Valley location located at 16201 E. Indiana, Suite 5000. Spokane Eye Clinic now has 17 ophthalmologists and 9 optometrists, seeing patients from 3 Spokane clinic locations, providing comprehensive eye care to the community. The American Institute of Architect's Committee on Architecture for Education (CAE) recently announced the 2017 Education Facility Design Award winners, which includes five Awards of Excellence and seven Awards of Merit. The Music & Art Center at Wenatchee Valley College (the 'MAC'), designed by Integrus Architecture, received an Award of Excellence. The MAC intertwines the Visual and Performing Arts programs to provide artistic instruction by day and a welcoming place for Wenatchee's community to enjoy concerts and art exhibits by night. The building's 'L-shaped' footprint provides two distinct wings to provide a separation of the art and music programs, while still respecting the need to unify them for creative inspiration. A lobby, and 'heart' of the building intersects the two distinct visual arts and performing arts zones and is the building's main entry, lobby, student space, and queuing area for the 150-seat recital hall. For more on this project go to: www.integrusarch.com/work/work_highered_proj_3.php. The national AIA CAE awards program recognizes state-of-the-art learning environments being developed in today's learning spaces. These projects showcase innovation across the entire learning continuum, displaying how architecture can be used to inspire learners, educators, administrators, and campus communities alike. For more on this year 's awards program go to: www.aia.org/resources/147591-education-facility-design-awards-2017. First Responders from all around Spokane and Northern Idaho will be honored when Lone Wolf Harley-Davidson hosts a First Responders Appreciation Day on Saturday, September 30 from 10am-6pm. There will be counselors on hand from St. Vincent de Paul North Idaho to talk with those affected by trauma so they can ask questions about counseling for first responders and their families. Lone Wolf Harley-Davidson feels that having this service available will not only benefit victims of trauma but will also benefit those in our community who witness said trauma during the course of their duties. The public is invited to this free event. There will be fun for everyone including bike games, contests, food trucks and much more. For more information, contact Aron Nelson, Event Manager, Lone Wolf Harley-Davidson, at 509-927-7433. Lone Wolf Harley-Davidson is located at 19011 E. Cataldo Avenue, Spokane Valley. ONE*, a church in Spokane Valley, recently merged with Mt. Spokane Church and is launching a satellite campus. The campus will officially launch on Sunday, September 24 with services at 10am and 11:30am. The ONE* North campus is located at 6311 E Mt Spokane Park Dr in Mead, right next door to Mt Spokane High School. The campus pastors are Scott and Holly Crane. 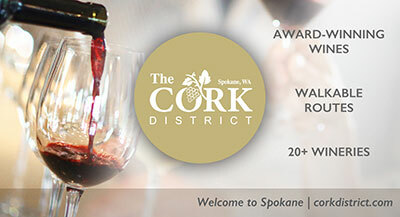 For more information, visit onespokane.com or call 509-926-3254. 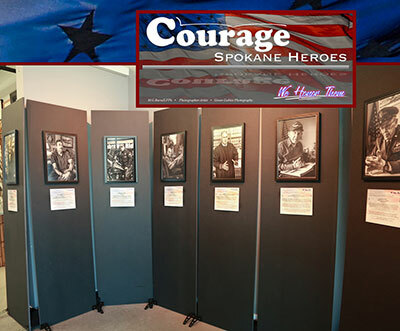 Courage Spokane, a traveling display, is a special tribute to our local veterans. The purpose of the display is to educate our community about our local Veteran heroes, and the display personalizes their stories and sacrifices made, to strengthen our community. Sponsorship opportunities are available to have this display represented in a lobby or place of business where the public can view it. There is no charge to view or host it and any donations made will be given to Operation Spokane Heroes, a local non-profit dedicated to helping veterans and military families in our community. For more information, contact Myron Bursell, Project Courage at myron@greengablesphotography.com or Sandy Kates, Chair, Operation Spokane Heroes at skates@lcdexpo.com. The website is www.operationspokaneheroes.com.